How sickness showed the author the full value of friendships and love. When Fisher first met Allison, a woman 30 years her senior, she never imagined how life-changing that moment would be. “It was not love at first sight,” she writes. “Or second, or third, or even ninth. For the first year that we knew each other, all I could see was that she was different from me.” Eventually, they experienced the gradual development of a deep, loving bond that kept them close friends until Allison’s death from cancer. By that time, Fisher was experiencing her own health woes, including possible brain cancer and problems with mysterious mold and environmental issues. Allison’s patience and loving nature were the main factors in helping the author weather her illnesses, as she learned to let go of control so that the love and trust her friends provided her really sank in and made a difference in her life. Fisher shares her reflections and insights into these loving relationships—both platonic and sexual—as well as her battles with addiction in a deeply personal yet accessible manner; readers will experience the subtle changes along with her as the narrative progresses. Reflecting on the way Allison helped her change her outlook, she writes, “I had never been touched or held with a kind of pure and untrammeled love before, a love that wasn’t clouded by anxieties, or by sexual desire, or by the awkwardness of being in a young body that doesn’t know how to touch, or that—most important—didn’t request anything of me.” It is the revelation that love can be unconditional and profound that makes this memoir stand out from many similar ones. Fisher is not just another survivor of a grave illness; she has been transformed by letting another person love her without constraint. 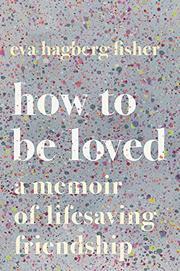 A well-written, emotionally uplifting tale of friendships, extreme illnesses, and understanding what love truly means.